BrightLine Menu, Maintenance – What's for dinner, Doc? Thai Basil Chicken by Martha You can skip the sugar or throw in a squeeze of orange juice but I don’t think it’s necessary. Serve over cauliflower rice. These look perfect for a Baja inspired meal with chicken, cumin, cilantro, lime, zucchini, red peppers, onions, cherry tomatoes. They would be great with firm fish too. I have so much yellowtail to eat; this is going on the menu! In the food processor finely chop 1 carrot, 1 small zucchini, 1/2 onion, 1 stock of celery with the leaves, 2 cloves of garlic, a handful of fresh spinach or chard, or generous tablespoons of fresh or dried oregano, basil, and parsley. Microwave the vegetables with a splash of olive oil for 3 minutes on high. Let cool. Combine 1 pound of lean ground beef, chicken or turkey with 2 beaten eggs, 1/2 cup oatmeal, 1 teaspoon salt and 1/4 teaspoon of black pepper and vegetables. The mixture will be wet so use a greased loaf pan or small Pyrex round dish. Optional: top with sugar free tomato sauce. Bake for 45 minutes at 375 degrees. Combine 1/4 cup soy sauce, 2 tablespoons toasted sesame oil, 1 tablespoon grated fresh ginger, 1 clove garlic finely chopped, 1/4 cup orange juice, 2 tablespoons lime juice. Muddle with 4-5 chopped dates. Toss dressing with 5-6 cups of thinly sliced kale, 1 apple sliced or diced, 1/2 cup grated carrot, 1/2 cup diced cucumber. 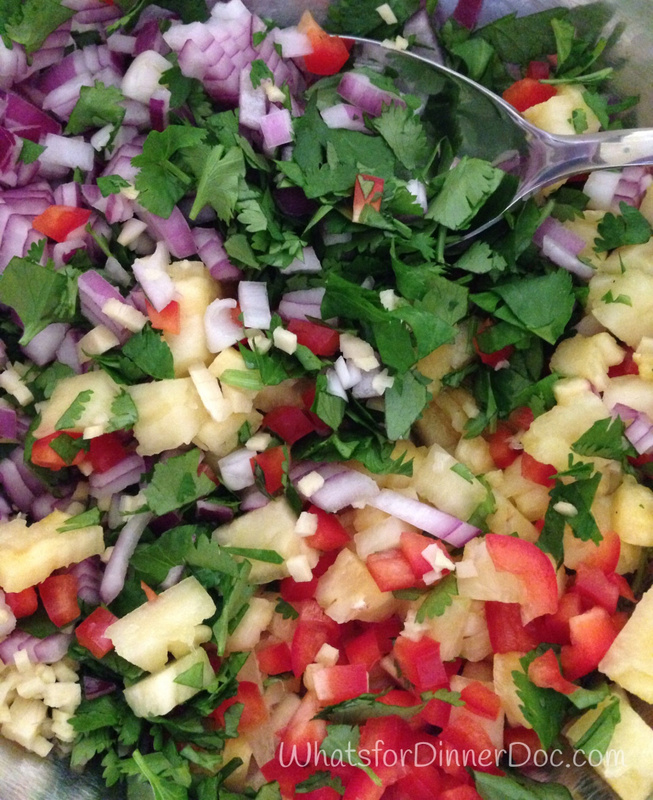 Lots of salsa ideas, mango, pineapple, tomato! Ole! 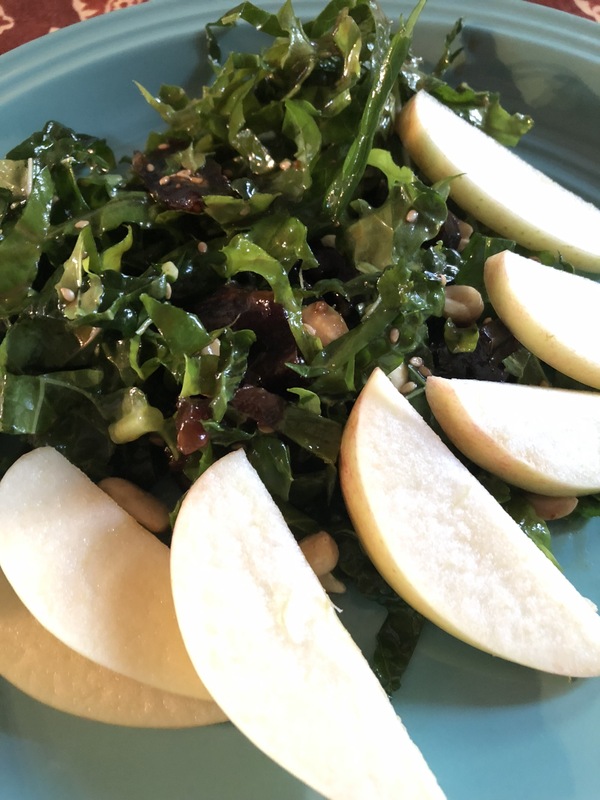 The Brightline report: I’m 12 pounds from my goal weight so I added a grain to my dinner. I was lost in a vat of sugar and flour for about a month but I’m back on track. I truthfully don’t feel well when I eat simple carbohydrates. Planning my meals is a very useful tool. I like the daily meditation and nightly check lists so I’ve kept those aspects of BrightLine. I don’t weigh my food. 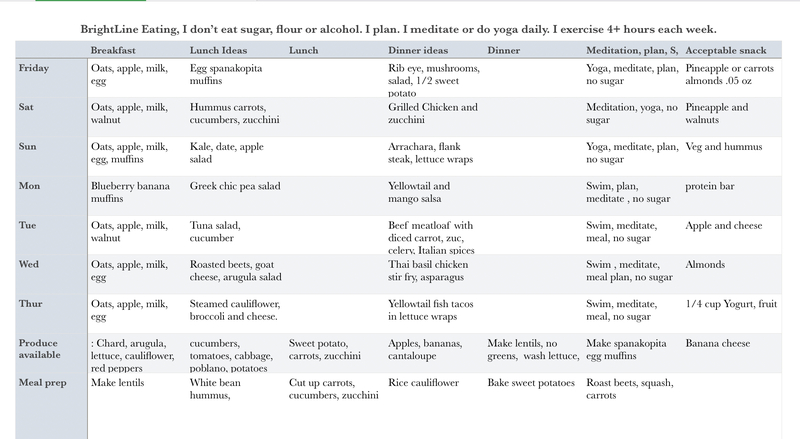 I eat by the one plate rule and fill my plate with vegetables and a 3-4 ounce serving of protein. I don’t drink my calories. Let me know how you’re doing. Every day is a chance to eat better and make healthy choices.